Since the voice is connected with all levels of our existence, it reveals immediately every blockage and every inner tension. The experiences, thoughts and feelings that are connected with this can find resolution also through the voice in that they are heard, felt and expressed. In this way the creative power than had been entangled in them is released for creative and fear-free interaction with the present moment. This shows itself immediately in the sound of the voice, regardless of whether it is used for singing, speaking or something else. So I accompany people through a vocal coaching approach which engages their whole personality into the freedom of their vocal expression, which in itself is always connected with the courage to embody the truth, the joy of life and the power to transform oneself creatively. The sound as the essence of life serves as a medium which restores the awareness of the non-separation of the various aspects of our humanness. This leads us back in unison and harmony with ourselves and life. I like to call overtones the inner dimension of sound and our concentration on them sensitizes us to a great extent for the vibrations in all areas of life, but especially in the area of music and singing. The refinement of our listening and the acquired freedom in the modulation of the sound are a revelation for anyy singer and musician. The two voices heard within a single voice connect natural harmonies with human harmonies and in this way also the earthly and spiritual within ourselves. When I am asked about the importance of overtone singing in my life I can never emphasize it strongly enough. Because overtone singing has brought me much deeper into my own center and closer to the essence of being than anything else in this world. The natural perfection of overtones touches on such a deep string in us humans, it is often beyond any formulation since it leads us into the quiet and peaceful space behind all thought. 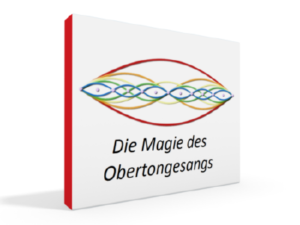 Therefore, overtone singing is not just an efficient vocal training method and a highly sophisticated singing art with a lot of unrevealed potential, also for the optimization of sound in the singing and music-making, but it is also an efficient practical approach towards daily transformation. The vocal analysis method developed by Miroslav Großer draws on several decades of experience in holistic vocal coaching and on his overtone singer’s enormous sense of connectedness to the overtones which constitute the in-depth structure of a voice. In combination with the practically endless possibilities to study the voice through the sound visualizing software “Overtone Analyzer” one arrives at a holistic diagnostic tool which connects the subjective perception of a vocal specialist with the objective measurements of a detailed frequency analysis. This method is recommended for courageous self-study pioneers who wish some support in the sensitive non-judgmental recognition of all the unconscious aspects of their personality which swing in their voice. As soon as we direct our undivided attention to sound, our state of consciousness changes. This has to do with the complex structure of sound and with the fact that all levels of our being get influenced by frequencies. This holistic quality of sound has a self-regulating and consciousness-expanding effect on the listener which is intensified in nada-yoga through certain exercises, e.g. the concentration on inner sounds as well as the directing of one’s own life energy by means of certain tones. Stimmlabor FREIKLANG Berlin was founded in 1999 in Berlin by the Overtone Singer and Improvisational Musician Miroslav Großer, born in 1968 in Berlin, who since his earliest childhood has been moving on the path of sound. 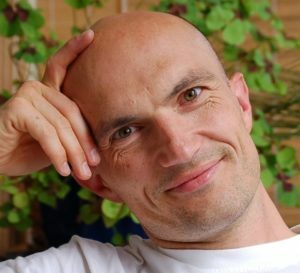 Miroslav Großer has been trained in classical violine, western overtone singing, nada yoga (the yoga of sound), meditation and various somatic therapeutic techniques. In search of the essence of sound he met with the phenomenon of overtones in 1991 and re-discovered the instrument of his voice for himself with the help of his teachers Sangit M. Waldner and Wolfgang Saus. His own search for the truthful voice led him to many other amazing teachers of music, singing and personal development, and also to great feelings and deep revelations about life in general and especially about the meaning of human existence – which allows for the forming of a sensitive rapport in the vocal trainings for every special starting situation. As an improvisational musician and singer Miroslav Großer has accumulated decades of on-stage experience also in combination with dance. Since 1994 he has been teaching overtone singing, voice formation and nada yoga also in seminars – always with a focus on the holistic approach in vocal training in the sense of connecting all levels of our human existence as a basis for a free flow of the voice. I am looking forward to hearing you and your voice! I enjoy giving sessions in English or I can organise a translation for a workshop if you would like to join.